BRECKENRIDGE – Along with a quarterly earnings report issued Friday, Vail Resorts announced changes in executive management at its Summit County resorts. 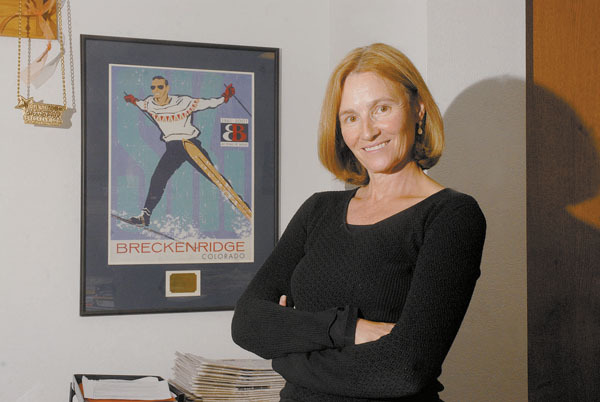 Lucy Kay is leaving her position as vice president and chief operating officer of Breckenridge Ski Resort, effective Oct. 7. She will be replaced by Pat Campbell, currently senior vice president and chief operating officer at Keystone. “I want to thank Lucy for her many contributions to the success of both Breckenridge and Keystone over the past two decades, and in particular, to helping establish both resorts as two of the most popular in the U.S., driving both visitation and profitability,” said Blaise Carrig, co-president of Vail Resorts’ mountain division. Kay served in various marketing leadership roles at both Breckenridge and Keystone over the past 20 years. Carrig touted Campbell’s accomplishments at Keystone in making the announcement. Campbell was appointed senior vice president and chief operating officer in October 2008. Prior to that, she was chief operating officer of Keystone Resort since November 2006. Campbell brings 21 years of expertise in the ski industry and extensive senior management experience. Campbell previously headed the skier services department at Breckenridge, and also led the ski school. Vail Resort officials would not say whether Kay left voluntarily, although the announcement appeared sudden. Kay did not return a phone call Thursday asking for comment. The company is looking internally for candidates to replace Campbell at Keystone, according to a press release. Kay was respected in Breckenridge for her involvement in the community and for taking Breckenridge into the top tier of U.S. resorts. “I think she worked really hard to be a face for the community rather than just a corporate person. I had a lot of respect for her in that regard,” said Breckenridge town councilman Dave Rossi. Most recently, Rossi worked together with Kay on a community group assembled to tackle thorny issues related to a planned ski area expansion on Peak 6. After the U.S. Forest Service received a slew of critical comments on the plan, Kay spurred formation of the task force to work through the issues. “It wasn’t always easy. I wasn’t always happy,” said Rossi, who, as one of the most outspoken members of the group, advocated for a go-slow approach to the expansion. “It was hard to tell where her orders were coming from,” he said, alluding to the challenges of working with a resort leader for a company based in Broomfield. “She was a smart marketing person … I had lot of respect for her in that regard. She helped set Breck apart with snowboarding and the terrain park, and she deserves a lot of credit for that,” Rossi said. During Kay’s tenure as head of the resort’s marketing arm, Breckenridge skier visits grew significantly, even surpassing Vail’s total several times. The resort pulled the campaign a week after it was launched, after groups like the National Organization of Women complained the language was misogynistic. Local reaction was mixed, with some people seeing the humor in the message, while others decried the language.